This study examines the ways that F. Scott Fitzgerald portrayed organized spectator sports as working to help structure ideologies of class, community, and nationhood. Situating the study in the landscape of late nineteenth/early twentieth-century American sport culture, Chapter One shows how narratives of attending ballgames, reading or listening to sports media, and being a ‘fan,’ cultivate communities of spectatorship. Adopting this same framework, the next three chapters explore how Fitzgerald’s literary representations of sport culture express the complexities of American society. Chapter Two specifically considers the ‘intense and dramatic spectacle’ of college football in ‘This Side of Paradise’ as a means of exploring links between spectatorship, emulation and ideology. 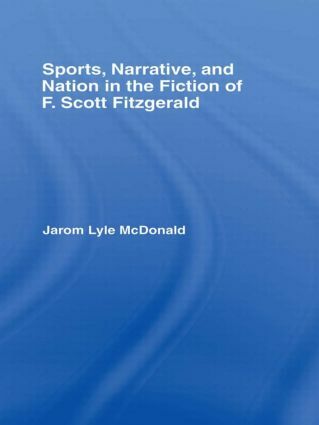 Chapter Three continues with college football as its theme, but this time looks at how it is portrayed in Fitzgerald’s short stories, in order to scrutinize the relationship between the performative aspects of sport and the performative aspects of social class. Finally, Chapter Four scrutinizes how The Great Gatsby critiques the romantic nationalist ideology of ‘America’s game’ by revealing the class divisions and tensions of baseball’s spectator culture.